With four vendors supplying various components of the FORUM Credit Union hardware-based contact center infrastructure, technology decision makers faced challenges not only in vendor management, but also in updating and customizing contact center features. At the time, FORUM used Avaya for PBX, voicemail and contact center solutions; Mercom for call recording; Maxxar for IVR; and LivePerson for online web chat. Because the leasing contract that FORUM had with Avaya was coming to an end, it seemed like the perfect time to explore the benefits of an all-in-one solution. “Avaya was a very closed system,” said Cameron Piercefield, Vice President of Technology at FORUM Credit Union. 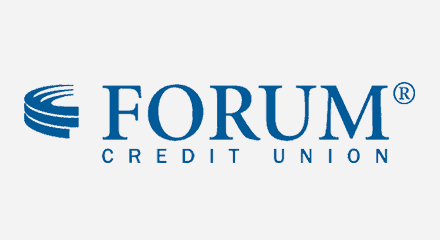 For example, when the credit union looked to add outbound dialing, Avaya couldn’t provide a dialer that would work with existing hardware at FORUM. To avoid the cost and complexity of managing solutions from multiple vendors, FORUM sought an all-in-one contact center system from a single vendor that includes IVR, outbound dialing, recording and Web chat—and a solution that could be customized in-house. Replace multiple vendors with an all-in-one contact center solution to eliminate a dependence on legacy hardware-based systems.